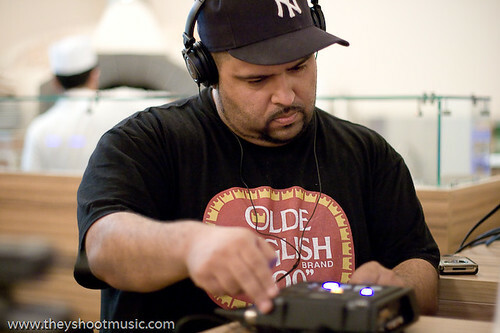 „I don’t forget where I come from“, MC Dälek raps into the camera while swinging a rolling pin. 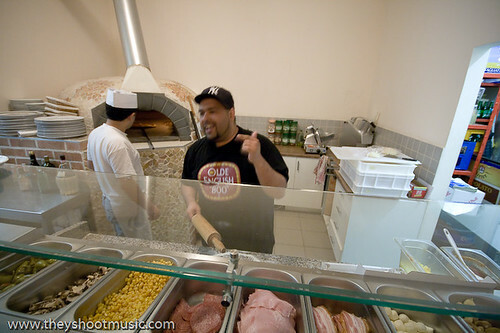 “From Newark straight to Vienna, Badolato’s number one pizza.” And he knows what he is talking about: In 2005 Dälek spent two months in Vienna to prepare a unique performance together with the Austrian electronic artist I-Wolf for that years’ Donaufestival. Almost every day they had lunch or dinner (sometimes both) at this special pizzeria, Badolato in Vienna’s seventh district. What was convenience at the beginning – the pizzeria is very close to where they lived and worked, and the food is tasty and good value – soon became friendship. 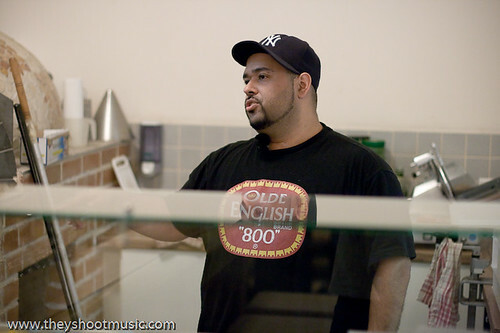 Every time MC Dälek is around, he stops by to say hello and have a pizza. This time before his show at Fluc starts, he invites us to join in and capture this little ritual. So we take a taxi cross-town in the late afternoon to bring him back to his old neighbourhood. The car has barely stopped, when Dälek jumps out to hug everyone from the waiters to the chef. 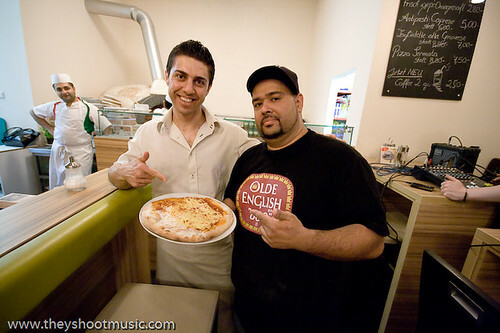 Then MC Dälek sets to work and prepares his first self-made pizza (with a little help) while performing “2012 (The Pillage)”. Having done that, he sits down to have his favourite pizza. Like in the old times.